On April 4 chemical weapons were used in an attack on the Syrian city of Khan Sheikhoun in which about 80 people were killed and several hundred wounded. The city is in Idlib Province, home to anti-government fighters and refugees who have fled since the fall of Homs and Aleppo to Bashar al-Assad’s forces. I support the view, challenged by only a few observers, that the Syrian government of Bashar al-Assad is responsible for the sarin attack. Syria has a history of use of chemical weapons against its own people, motives for using chemical weapons against opposition forces and civilians, and a variety of weapons and chemicals for weapons production that were never destroyed under a 2013 international agreement . British scientists were among the first to identify use of sarin in Syria on April 4 (www.reuters ecom/article/us-mideast-crisis-syria-un-britain-idUSKBN17E1YE.) Ahmet Uzumcu, the director-general of the OPCW (which is the implementing body for the 1997 Chemical Weapons Convention), told a meeting at the group’s headquarters in The Hague in April that the preliminary assessment of OPCW experts investigating the alleged chemical attack was “that this was a credible allegation.” He said investigators collected samples that were sent for analysis (www.washingtonpost.com/world/europe/us-berates-syria-at-opcw-meeting-on-syria-chemical-attack/2017/04/13/). French intelligence backed up the British and OPCW findings. A French foreign ministry statement reported in late April that “the Syrian armed forces and security services perpetrated a chemical attack using sarin against civilians,” based on samples collected from the scene of the attack and compared with samples from a previous Syrian regime chemical attack on Saraqeb in April 2013. The chemical compounds matched those in Syrian stockpiles, says the French report, which also identifies the Syrian aircraft that carried out the attack (www.diplomatie.gouv.fr/IMG/pdf/declaration_en_cle8faf9b.pdf; www.theguardian.com/world/2017/apr/26/syria-assad-forces-carried-out-sarin-attack-says-french-intelligence). Victims of the attack were taken to Turkish hospitals, where biological samples were obtained and sent to the OPCW for analysis. Turkey’s health ministry reported after autopsies were conducted that sarin was the cause of death. Officials from the World Health Organization also participated in the autopsies (www.washingtonpost.com/world/middle_east/activists-clashes-barrel-bombs-in-syrias-daraa/2017/04/11/). As for the Russian and Syrian argument concerning the April 2017 attack, Syria alleges that it hit an opposition chemical-weapon warehouse five hours after sarin casualties were video-recorded in the town and disseminated internationally. But Syria’s story has a big hole in it. Journalists with The Guardian visited the site of the attack and found the warehouse, which was “nothing but an abandoned space covered in dust and half-destroyed silos reeking of leftover grain and animal manure” (www.theguardian.com/world/2017/apr/06/the-dead-were-wherever-you-looked-inside-syrian-town-after-chemical-attack). Syria distributed a video recording of a small ceremony by the Syrian Army chief honoring the pilot who attacked the alleged warehouse—an admission of how the attack took place. Human Rights Watch has just confirmed that conclusion: “Photos and videos of weapon remnants that struck Khan Sheikhoun on April 4 appear to be consistent with the characteristics of a Soviet-made air-dropped chemical bomb specifically designed to deliver sarin” (www.hrw.org/news/2017/05/01/syria-new-evidence-shows-pattern-nerve-agent-use). An examination of last year’s international effort to rid Syria of chemical weapons, based on interviews with many of the inspectors and U.S. and European officials who were involved, shows the extent to which the Syrian regime controlled where inspectors went, what they saw and, in turn, what they accomplished. That happened in large part because of the ground rules under which the inspectors were allowed into the country, according to the inspectors and officials. The West was unable, for example, to prevent Mr. Assad from continuing to operate weapons-research facilities, including the one in Damascus visited by inspectors, making it easier for the regime to develop a new type of chemical munition using chlorine. And the regime never had to account for the types of short-range rockets that United Nations investigators believe were used in an Aug. 21, 2013, sarin gas attack that killed some 1,400 people, these officials say. As the OPCW later confirmed, the Assad regime did everything possible to frustrate its work. Only facilities declared by the Syrian government were open to inspection. The US and other governments had to be content with the 1300 metric tons of chemicals that were destroyed, since to challenge Syria on other facilities might have prevented access to all twenty-three declared sites. Gregory Koblentz points to the chain of command in Syria’s decision making on chemical weapons use. “Syria, despite being a member of the CWC, maintains a well-organized capacity to conduct multiple types of chemical attacks in support of the regime’s tactical and strategic objectives” (http://foreignpolicy.com/2017/04/07/syrias-chemical-weapons-kill-chain-assad-sarin/amp/). Assad is at the top of the chain of command, one of only a few people Koblentz (and the French declaration noted above) identifies as having decision authority over chemical weapons. The Assad regime has a history of blaming opposition forces for chemical-weapon attacks. Syria’s, and Russia’s, position is that Syria no longer has chemical weapons, and certainly not sarin. Any chemical weapons not destroyed in 2013 under international inspection must have been hidden in opposition-held territory. The attack, if it occurred at all, was committed by anti-government forces who had hidden the chemicals in a warehouse. Syria says its aircraft struck that site to destroy the chemicals. Syria would never conduct such an attack, Bashar al-Assad says. Why would he do such a terrible thing? As for the pictures of the dead women and children, they were faked. The chemical attack came at a time when Assad’s military is overstretched. Chemical weapons are a cheap, effective force multiplier — a way to inflict terror despite limitations of manpower and supply. Their use instills fear in civilians and rebels alike. By discouraging them from joining the last pockets of resistance, this tactic saves Assad something more precious than money: time. The sooner he finishes cleaning up, the more money he saves, and the sooner he can start raking in the billions that international donors and investors have already pledged to “reconstruct” his shattered country. . . . Assad has already used chemical weapons to kill his own people, and he has paid a negligible price. Why would he risk it again? Because his experience shows him that he’ll probably face only minimal consequences. In fact, a look at history — particularly Syrian history — shows that he has everything to gain (www.washingtonpost.com/posteverything/wp/2017/04/11/why-would-assad-use-sarin-in-a-war-hes-winning-to-terrify-syrians/). I refer to a group of 30 people who belong to an informal roundtable of long-term CW experts from Sweden, Norway, Canada, Australia, Germany, Great Britain, the US, and Japan. Many of these individuals are retired from government service in their respective countries, while others still serve or are academics. 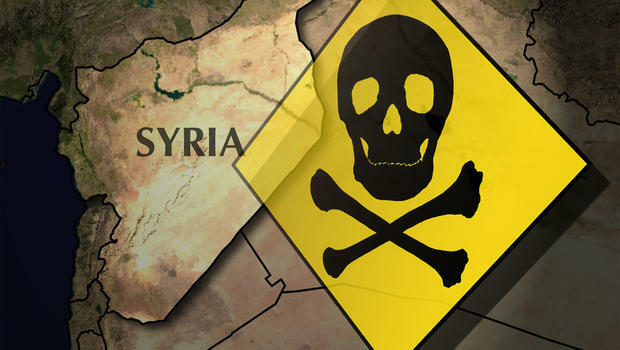 The group, formed about 10 years ago, began very early in 2013 to examine the evidence for the first reported uses of chemical weapons in the war in Syria. I was able to read the analyses of a half dozen members of the group in regard to the events on April 4 in Khan Sheikhoun. The group is moderated by Milton Leitenberg, Senior Research Scholar in the Center for International and Security Studies at the University of Maryland. Since 1965 Leitenberg, a former biochemist, has written numerous books and journal articles on chemical and biological warfare. In addition, US intelligence claims to have intercepted communications between Syrian military and chemical experts “talking about preparations for the sarin attack in Idlib” (http://edition.cnn.com/2017/04/12/politics/us-intelligence-syrian-chemical-weapons/index.html). The website Bellingcat has an early summary of what is known about the air strikes that occurred on the morning of the attack (www.bellingcat.com/news/mena/2017/04/10/khan-sheikhoun-chemical-attack-bombed/). Surprised to see a fellow CounterPunch contributor departing from the Mike Whitney/John Wight consensus. Not a particularly enlightening analysis as it avoids a lot of key technical questions such as those posed by Dr. T. Postol on the delivery munition for this attack. I do agree that the explanation given by Russian or Syrian regime side is wrong; this was not an accidental release triggered by a warehouse airstrike. That said, after looking at a lot of the data collated by BellingCat and others this was most likely a false flag executed by radical jihadists with aim of reversing recent diplomatic gains by the Assad regime and increasing US military intervention in Syria against Assad. I’m not sure where the rebels got their sarin, but after looking at the West/East Ghouta 2013 attacks evidence, it’s pretty clear they have it or can make it. It’s a stretch to say any Western power has done an “investigation” into this attack. As far as I know, none have put people on the ground in Khan Shaykhun; they’ve analyzed some samples provided by the terrorist group Hayat Tahir Al Sham and that’s about it. As for the motive for the SAA to conduct this attack because they are “stretched thin” militarily, why would they use gas on civilians far from the front lines? If they were to risk using chemical weapons at all, it would make more sense at the front lines on concentration of rebel fighters. That would allow them to overrun those positions and hide all evidence. In this case the evidence remains under rebel control months after the attack. Despite the obvious motive for a rapid (while evidence is fresh) and detailed forensic investigation by the rebels, assuming they were innocent in this incident, there appears to be little enthusiasm to get such an investigation done by either the rebels or the western powers. Sorry you didn’t feel “enlightened,” but perhaps you would have had you checked the independent sources I used. Postol is a widely debunked source; his analysis of the chemical warfare incidents is full of errors. I think my 2 articles on the subject answer your concerns, but you are welcome to disagree.